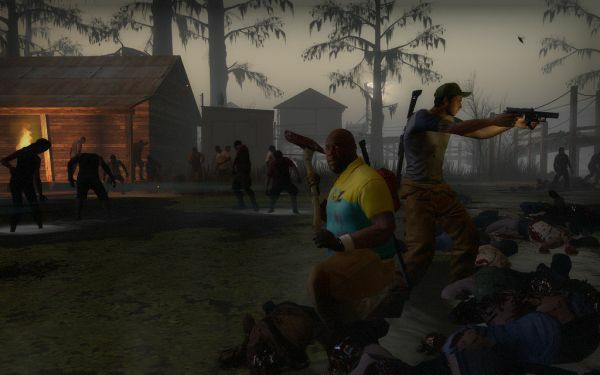 If you are a fan of co-op shooters, chances are, Left 4 Dead and it's sequel are in your collection. In addition to the excellent teamwork opportunities, replay factor, and undead charm, the game's characters and story are quite memorable. Each time you play, more pieces of the narrative become clear. The storyline and characters will take a prominent role in an upcoming XBLA release, which isn't standard DLC, but a comic! This comic will include the original Left 4 Dead survivors as well as those of the sequel. The comic will tie together the storylines of the two games, as will the upcoming Left 4 Dead 2 DLC pack entitled "The Passing", which will feature Bill, Zoey, Francis, and Louis. Look for both the comic and the new DLC later this month. Page created in 0.2656 seconds.